Maps of the world are typically written with the language of the viewer in mind. 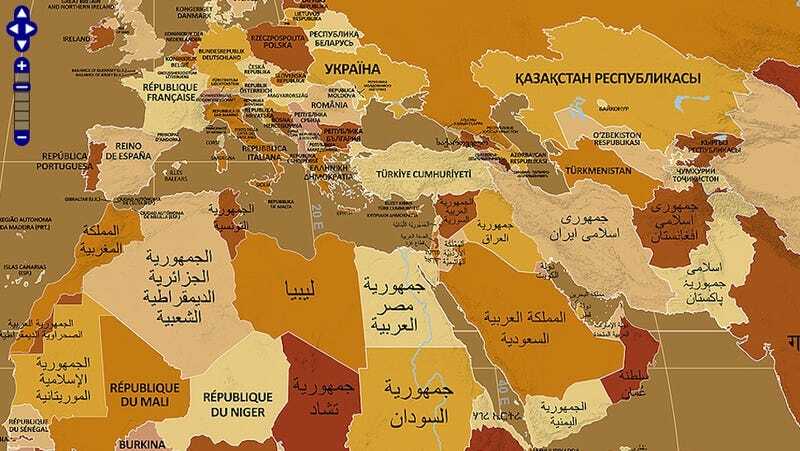 But the zoomable Endonym Map takes a different approach, writing each country's name in one of that country's own languages. It's an evolving project, with the cartographer making adjustments based on corrections, linguistic changes, and geographic discoveries. (You can email the cartographer with any errors you spot.) There's also a complete list of the countries and languages used at the map's site. Like so many maps, it's not without controversy, but it sparks some interesting conversations about language, culture, and nationality.